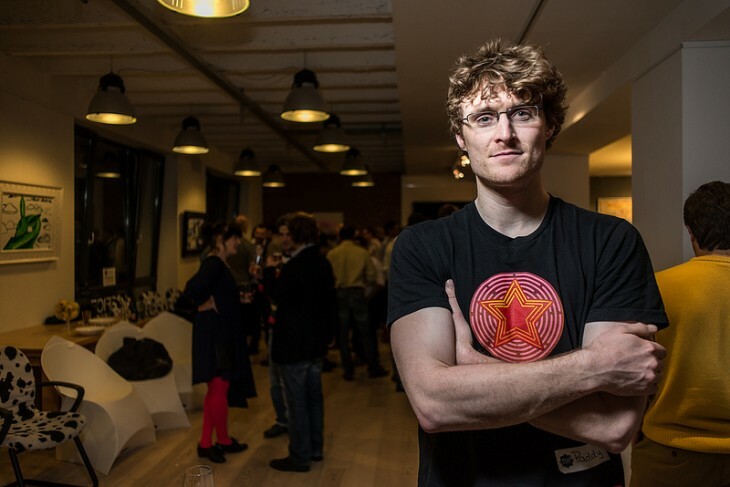 Paddy Cosgrave is no stranger to the tech conference scene. The driving force behind the Dublin Web Summit, he and his team are gearing up for another massive event this coming October. While the event itself is a year long preparation, Paddy has recently been spotted making appearances at much smaller, back-to-the-roots events, namely by way of the Pub Summit series. The Pub Summit 100 event series is taking place in 40 countries across 5 continents over the course of 2013, all with a single focus – bring people together and provide them with the opportunity to socialize and grow their networks. Vienna, Austria recently played host to a Pub Summit, and I had the opportunity to sit down with Paddy to discuss the roots of these events, what makes them special, why large conferences are still very important, and what and how conference and attendees can do to make the very most out of them. The rules of the Pub Summit series are simple: No pitching, a few words from the co-hosts, and no guest speakers. In 2012, The Web Summit took over 7 pubs across Dublin and packed them with attendees, each hosted by, and targeted towards unique communities. The Web Summit by Night events provided the perfect setting for Paddy’s aforementioned networking hotbed. This coming October, The Dublin Web Summit is planning on furthering these events, and adds that the Pub Summit series not only provides a great experience to attendees, but is also a testing ground for the upcoming event(s) in Dublin. As one who’s seen his fair share of events, attendees, and winners and losers, I asked Paddy to share his thoughts on the “secret sauce” behind getting the very best out of events, both big and small. Paddy deems this preparation method to be absolutely essential to any startups that are looking to maximize their time at events. There’s no such thing as expecting to simply show up at an event, and think that things will just happen. Paddy’s underlying message for entrepreneurs, investors, and attendees, is nothing more than preparation. He notes that the amount of preparation involved in attending an event, large or small is massive, and not be overlooked. A key point for startups to consider well before attending an event is what do they want to get out of it? Do they want to meet investors? Do they want to announce something? Do you want to contact the media? These are all different challenges with different strategies to be applied. It’s exactly this preparation which will keep you and your team focused and on track. With so much focus on individual meetings and connections, every entrepreneur needs to have a gameplan. Not only in whom they want to talk to, but more importantly, what they want to say, and how they want to say it. While discussing the large scale Web Summit in Dublin, Paddy also noted that the same holds true for the Pub Summits. These are simply a concentration of what he deems the best parts of large events. Do the same homework. Know who’s attending. Send an email over and let these investors know that you’ll be at the Pub Summit, and that you’d like a few minutes of their time. Nothing more. The Pub Summit series continues throughout 2013, with more dates and locations continually being added. The Dublin Web Summit is current accepting applications for a 2-for-1 voucher, and Paddy adds that speakers will begin being announced over the coming weeks.